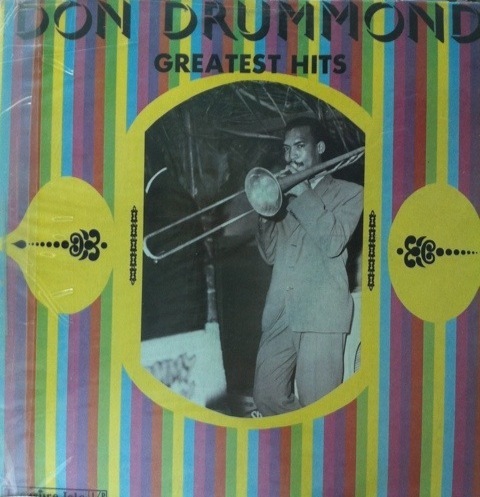 This is a great set of first-wave Ska instrumentals featuring legendary composer/trombonist, Don Drummond and The Skatalites. Drummond was a founding member of The Skatalites and composed many of their hits up until he was convicted of murdering his girlfriend and subsequently submitted to a mental asylum. Drummond died in the asylum a few years later. According to Wikipedia, some sources believe that Drummond was killed in the asylum for the murder he committed. 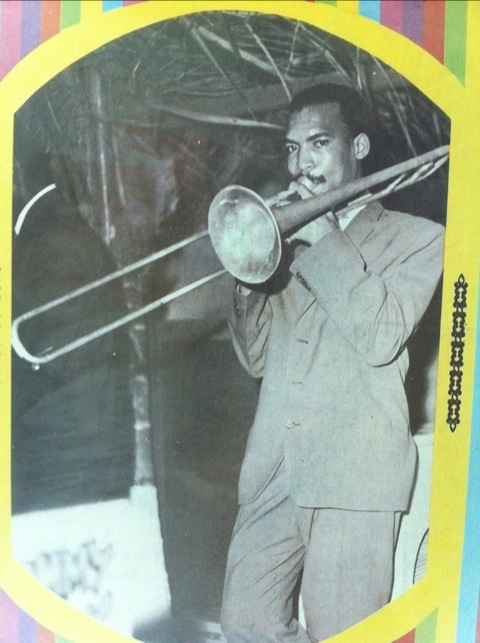 Despite the tragic events that capped his life, Don Drummond is remembered as a leading visionary in early Jamaican Ska music of the 1960s. 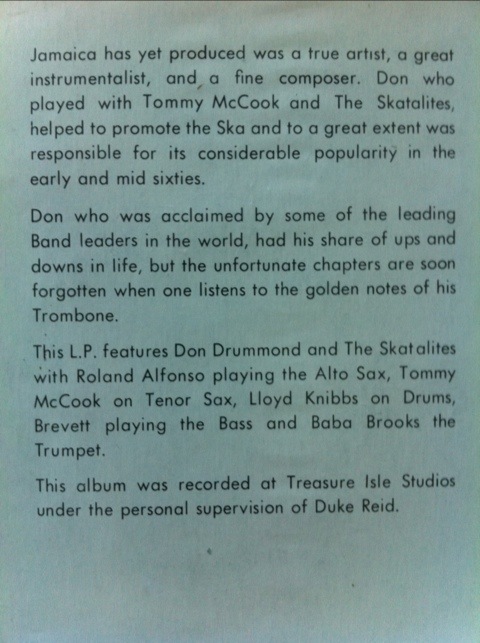 His musical style has influenced generations of Ska and Reggae musicians and continues to do so today. This album is a greatest hits compilation put out on the Treasure Isle/Sonic Sounds label. The jazzy improvisational trombone work on this album lend itself to repeated listens. These songs will never get old. So do yourself a favor, put on your dancing shoes and get down to these fantastic Ska jams. This is a great record to play at your next party or even just around the house. If you are used to listening/dancing to reggae music be prepared to dance to a faster beat, this music doesn’t lend itself to being completely stoned out, but a little buzz wouldn’t hurt. For those of you who don’t live in the tropics, throw this record on to be transported to a totally different time and place. That is what great music is all about, right? Enjoy. Download below.